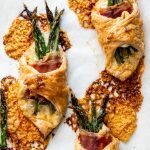 Asparagus bundles with Brie cheese and prosciutto wrapped in buttery puff pastry is a delicious appetizer and the perfect addition to your brunch table. You could pretty much wrap puff pastry around anything and I would love it. 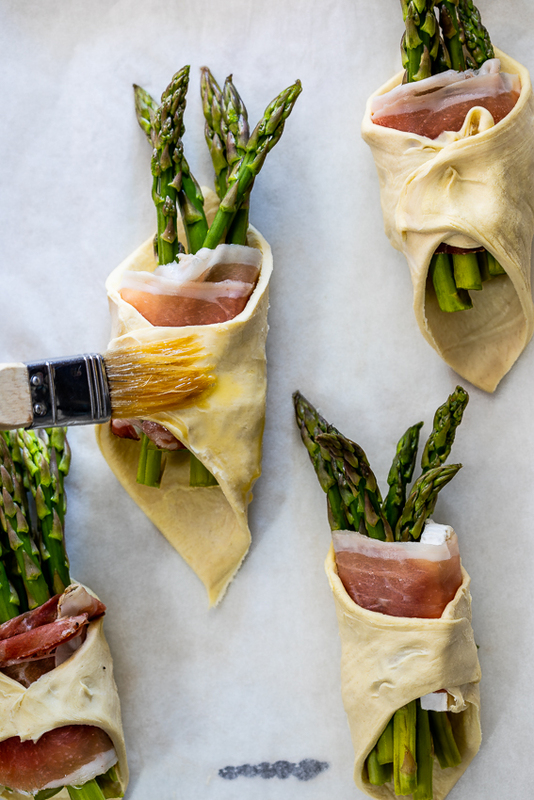 But wrapped around fresh green asparagus, salty prosciutto and creamy Brie? Yep, that’s totally my idea of Heaven. 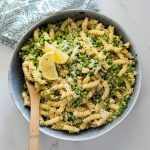 These asparagus bundles make a wonderful appetizer and is a perfect addition to a breakfast or brunch table (Bookmark this one for Easter or Mother’s Day!!). If you can’t find prosciutto, any thin-sliced ham or bacon will do. The Brie can also be swapped out with another cheese if preferred. Camembert, Mozzarella, goat’s cheese and Parmesan will all work well. I love how the Brie melts out and creates a little lacy cheese crisp around the pastry. Goat’s cheese or Parmesan won’t melt as well as a softer cheese but the flavor will be just as good. Cut a sheet of store-bought puff pastry into 6 squares. Place a piece of prosciutto onto each square then top with a few spears of asparagus and a slice of Brie cheese. Pinch two edges of pastry together to create a little parcel then brush with egg wash and place in the oven. Allow to bake until the pastry is golden brown and the asparagus is cooked. Remove from the oven, allow to cool for 10 minutes then serve. 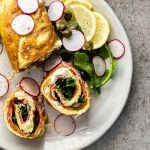 What can I substitute for puff pastry? If you can’t find puff pastry, you can use croissant or crescent roll dough instead. 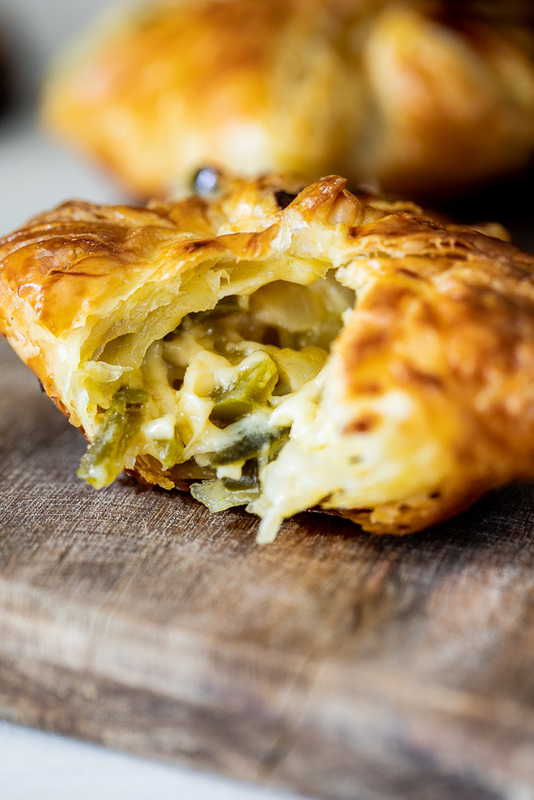 You want a flaky, buttery pastry for this recipe. Do you have to wash asparagus before cooking? Yes, asparagus needs to be washed before cooking. Asparagus is grown in sand and if it isn’t washed it will be gritty and unpleasant to eat. 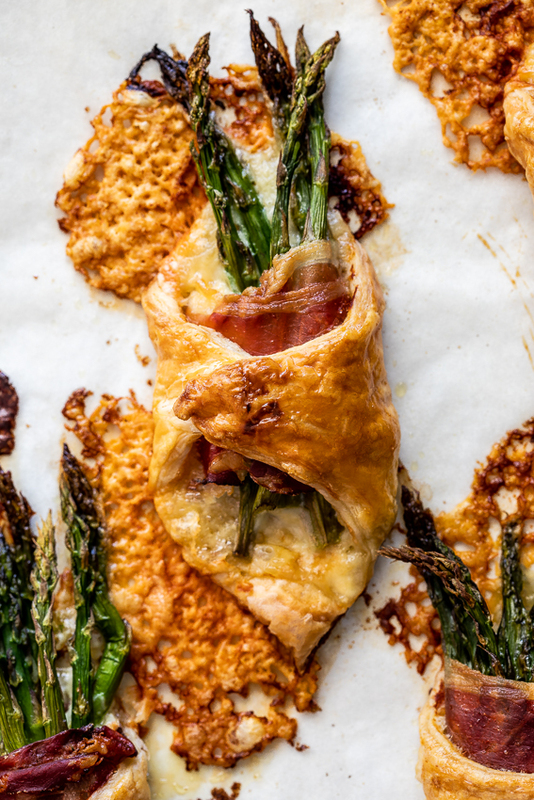 Asparagus bundles with Brie cheese and Pancetta wrapped in buttery puff pastry is a delicious appetizer and the perfect addition to your brunch table. Pre-heat the oven to 180ºC/350ºC and line a baking sheet with parchment paper. If necessary, roll the puff pastry out into a thin rectangle. Cut the pastry into 6 even squares. 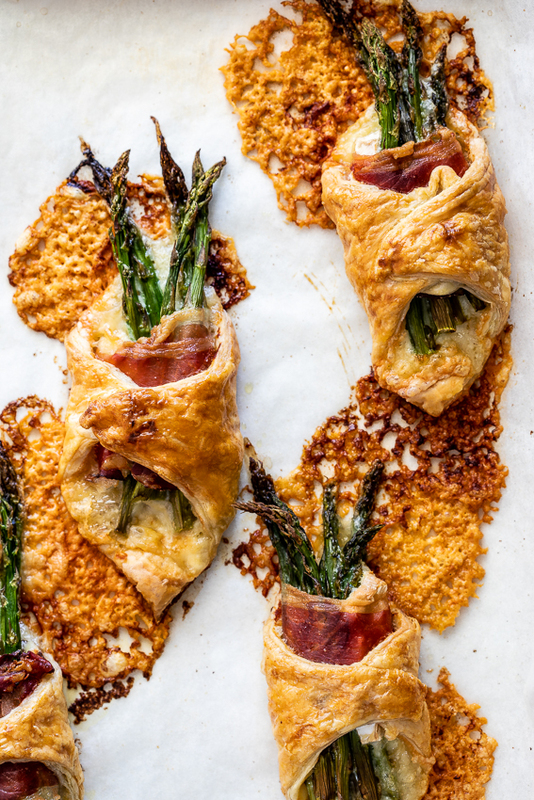 Place a slice of prosciutto onto each pastry square then top with a few asparagus spears and a slice of brie. Fold and pinch two corners together to form a bundle. Place the bundles onto the prepared baking sheet. Brush with beaten egg and place in the oven. 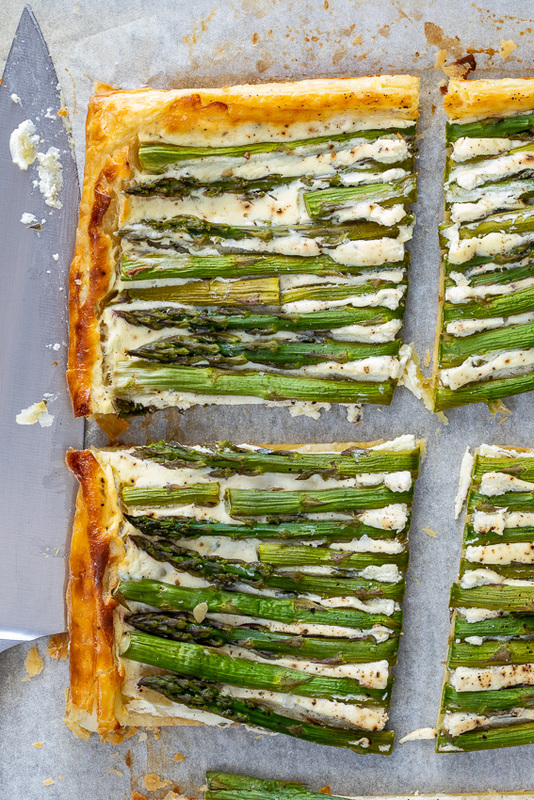 Allow to bake for 15-20 minutes until the asparagus is cooked and the pastry is golden brown and puffed.